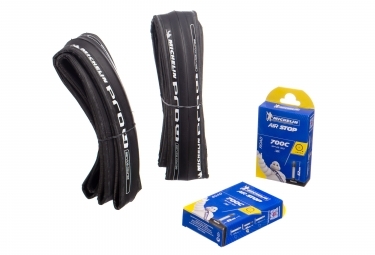 For cyclists looking for performance, adherence and puncture protection + 30% hadérence wet. The MICHELIN PRO4 Service Course delivers the best performance for the competition with a BEST grip, excellent puncture protection and outstanding performance! 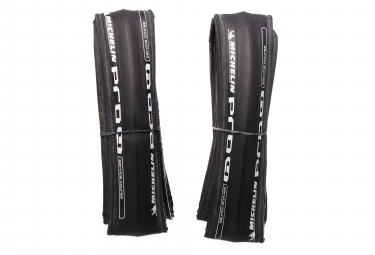 A lower rolling resistance, greater wear resistance and better grip thanks to the BiCompound technology. 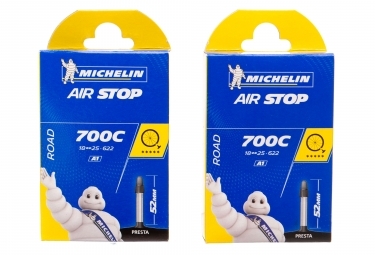 The center of the tire tread rubber compounds with more rigidity and sidebands with more grip. Mixes two unpublished gum, greater rigidity in the center of the tread, and more adherent to the shoulder. A new profile of the tire, more pointed, that optimizes maneuverability and ground contact area. Tube 700C 18 to 25 small valve (Presta valve) length 52mm valve.